Program: Be welcome at Shanghai Pudong international airport and transferred to the hotel, Check-in and have a good rest. 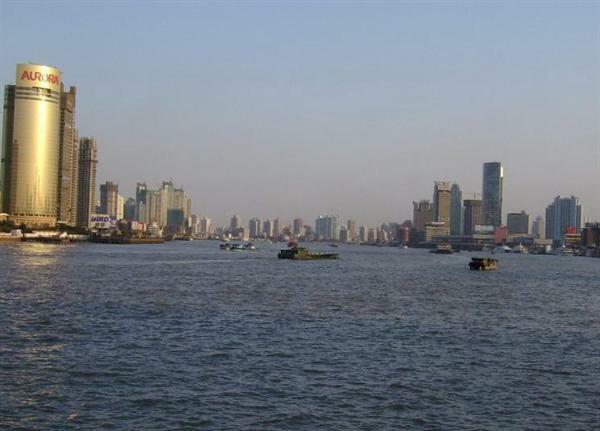 -The Bund (Waitan): It is one of the most recognizable architectural symbols of Shanghai. It is here where the first British company opened an office in 1846. -Nanjing Road: It is one of the most important commercial and tourist streets in Shanghai, which stretches from Waitan to Yanan Xilu. -Oriental Pearl TV Tower: Standing by the Huangpu River with 468 meters high, Oriental Pearl TV Tower is the highest TV Tower in Asia. -The French Concession: The French Concession is the area of Shanghai once designated for the French. Today, the area's central Huaihai Rd is a busy shopping street, but the tree-lined avenues and their many Tudor mansions still retain an air of the "Paris of the East". -The Shanghai Acrobatics Troupe has short but entertaining performances here most nihgts at 7.30pm. 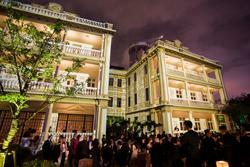 -DUOLUN Road Cultural Street: This restored and rather grubby street of fine old houses was once home to several of China's most famous writers (as well as Kuomintang generals). Today it is lined with art supply stores, curio shops, galleries, teahouses and cafes, as well as statues of the writers Lu Xun and Guo Moruo. -Tongli Town: Tongli town has a history of more than one thousand years. Here there are over a hundred of gardens and temples. Fifteen rivers divide the town into seven island and 49 sets of historic bridges connect the town as a whole. -Grand Canal：The Grand Canal ranks alongside the Great Wall of China as the country's greatest engineering achievement and it is the longest man-made waterway in the world. When cruising on it you have a view of local people's life. -The No.1 Silk Factory: Suzhou is very famous for its silk production. In this factory you can see how the silk is processed from the silk worm to the final woven cloth. -The Lingering Garden: It was listed as a relic of national culture importance in 1961.The whole garden possesses 42 rooms and halls. -Pan Gate: t is the only one left of its kind. It is an ancient city gate with land and water entrances. One gate with land and water entrances was quite typical in ancient China. -The Master-of-Nets Garden: The Master-Of-Nets Garden is one of the four famous gardens in Suzhou, which has also won the titles of world cultural heritage site, a scenic spot of national 4A level and historical and cultural relics under state protection. The Park was built in Chunxi Year of Southern Song Dynasty (1174 A.D.) by Shi Lang (an ancient Chinese official title) Shi Zhengzhi after he retired from the Court. It is a private Garden with thousands of collected books. So it's also called the Hall of 10000 Volumes. The Master-Of-Nets Garden only has an area of a little more than 8 Mu (a unit of area), the garden can be divided into three major parts: housing area as the east part, where mansions concentrating; landscape scenery area as the middle part; and inner garden as the west part, which is also called Garden in Garden. -West Lake: Among the 36 lakes called "West Lakes" in China; this one is by far the most famous. Actually, this is the West Lake from which all others take their name. Lying on the west edge of Hangzhou city, West Lake is the symbol of Hangzhou as well as one of the most beautiful sights in China. -Lingyin Temple: Lingyin Temple is one of the ten most famous ancient Buddhist temples in China. It also houses various Buddhist literature and treasures. -Red Carp Pond: Home to a few thousand red carp. bullet train back to Shanghai. All means as specified in the itinerary. "B" stands for western breakfast "L" for Chinese Lunch in local Chinese restaurant. "D" for Chinese dinner in local Chinese restaurant. The quotation is basic on the above normal meals. If you have any special request about meals, like vegetarian, or Indian food etc, please inform us in advance. Between airports, hotels and scenic spots while sightseeing in Beijing,Xian,Chongqingby the private air conditioned vehicle with driver and English-speaking guide. H. Luggage Transfers:Between airports and hotels. *The prices are inapplicable during the May Labor's Day (1st -7th May), Chinese National Day (1st - 7th Oct), Chinese Spring Festival and big events.Please contact us for the exact price.